1. Your Flipcause Dashboard is accessed at flipcause.com/sign-in and is where you access your payment processing engine and merchant account as well as your transactional and contact database and where you can launch and manage your fundraising and community engagement campaigns. 2. 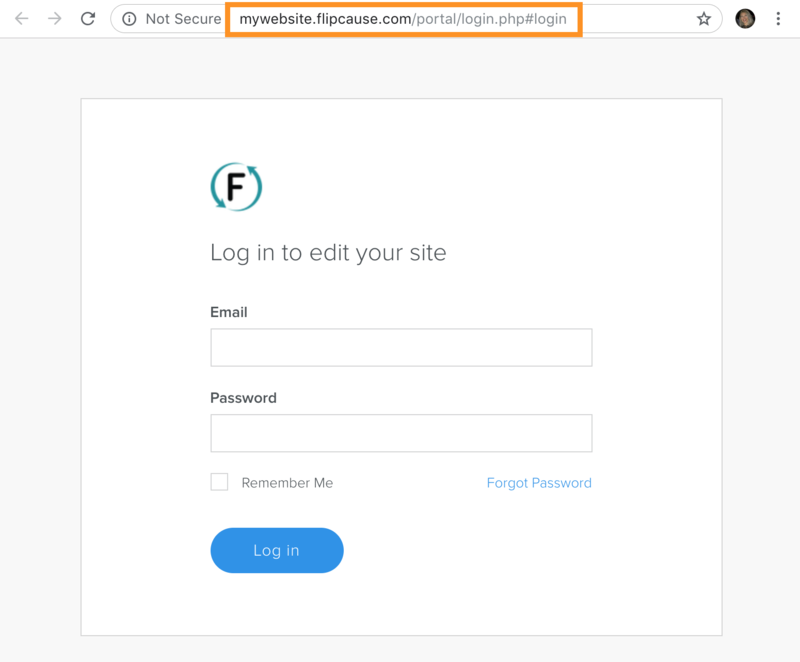 Your Flipcause Website is accessed at mywebsite.flipcause.com and is where you can manage your website content, pages, and settings. This is your website builder or editor. 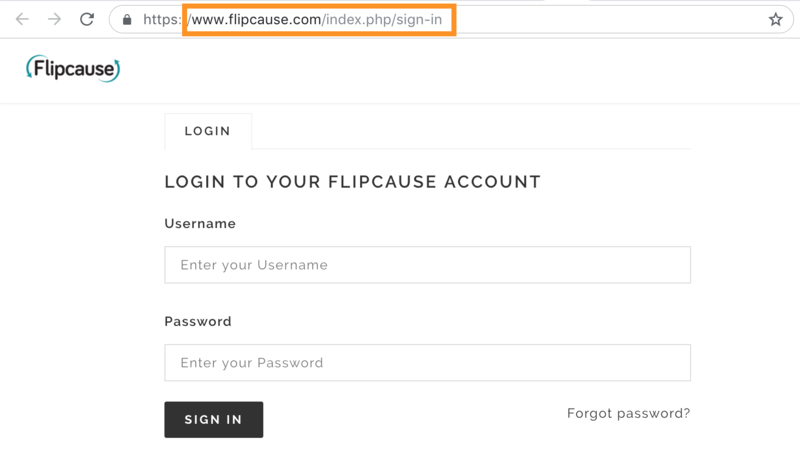 If you did not opt for the Flipcause Website Package, then your organization is using your own website, which is not accessed through Flipcause. For more details on how to log in to either area, see here.